Panch Kedar trek is one the most beautiful treks in Garhwal Himalayan region of Uttarakhand. It includes all the five shrines of Lord Shiva which are located in Kedar valley. It is believed that to Lord Shiva hid from Pandavas in Garhwal region and different parts of his body appear in five holy places. First among the Panch Kedar Trek is Kedarnath, located at the top of Mandakini River is where the hump of Lord Shiva was seen. 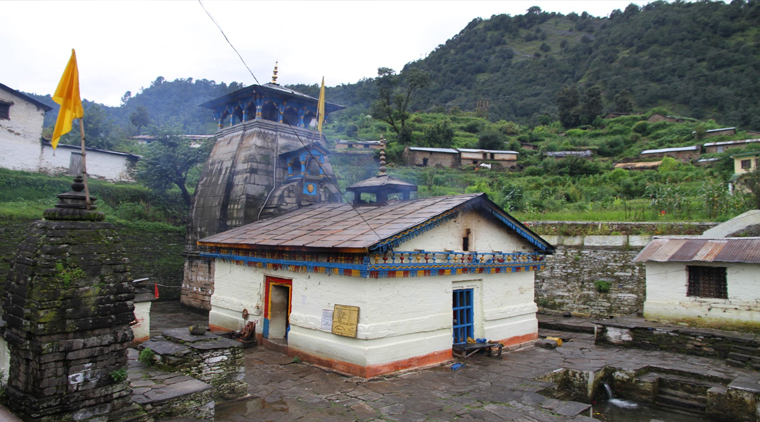 Second among the Panch Kedar, Madhyamaheshwar, located at the bottom of Chaukhamba peak, is the holy place where Lord Shiva’s navel and stomach surfaced. 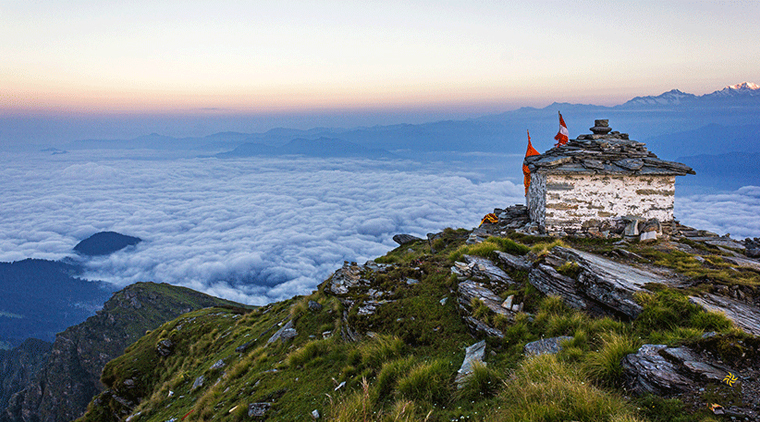 The amaong the Panch Kedar is Tungnath which ranks as the highest Shiva temple in the world. At this place, hands of Lord Shiva were seen. Fourth is Kalpeshwar, situated in beautiful Urgam valley is the place where Lord Shiva’s hairs were identified and the fifth is Rudranath, where Lord Shiva's face appeared. Apart from five shrines, the trek covers a lot of places like Kalgot, Panar, Chopta, Chandrashila, Ransi, etc. The difficulty level of Panch Kedar trek is moderate. Best time to visit these places is during summers from June to October. Joshimath is the starting point of the Panch Kedar trek. All the arrangements of coming to Joshimath are to be done by trekkers themselves. If you are coming by road, the total distance from Haridwar to Joshimath is about 260 km. which takes around 10 hours of drive to reach. The entire route is beautiful and you can witness the confluence of River Alaknanda and Bhagirathi River to form the Ganga River. Nearest railway station is Ramnagar, but the train connectivity is not good from other major cities. Once you reach Joshimath, get in touch with our representatives. They will guide you towards your accommodation. Take rest and overnight stay shall be at Joshimath. Get up early in the morning and have breakfast. The day starts with a 19 km. drive from Joshimath to Kalpeshwar, followed by a 3 km. trek from Kalpeshwar to Urgam village. Kalpeshwar is located in the picturesque valley of Urgam at an altitude of 2134 mtr. above the sea level. The entire valley is full of rich and diverse flora and fauna. From the valley, enjoy the view of lush green forests and terraced fields. Kalpeshwar is one of the five shrines of Lord Shiva. The hairs of Lord Shiva are worshiped in this holy temple. The temple is accessible round the year. After Kalpeshwar, we head to Urgam village. Most of the trek to Urgam village is a gradual climb. After a long day, take rest at one of the home stays in Urgam village. The local people of the village are very hospitable. Have a meal with them, learn their language, talk about their culture, lifestyle, and region. Do you know? : Kalpeshwar is believed to be a favourite spot for meditation among many sages. After having delicious breakfast in the homestay, we start our day with a trek from Urgam to Kalgot. It is a 12 km. long stretch. We recommend some morning exercise before beginning the trek as the distance to be travelled is quite long. Kalgot is located at an altitude of 2183 m. above the sea level. During the initial trek, you walk through a dense forest hearing sounds of murmuring waterfalls. Urgam valley is famous for apple orchards and for the cultivation of potatoes. While you walk further, you witness beautiful lush green meadows rolling down the entire valley. On arriving Kalgot village, interact with remote villagers and learn from them their way of leading a happy life without modernisation. Enjoy an overnight home stay with Garhwali family at Kalgot. After some refreshments, start early morning for Kalgot to Panar Bugyal trek. It is a 14 km.long trek. You have to climb uphill through the dense forest. As you move through the trek, you can witness the change in vegetation and atmosphere. Feel the breeze and peace of the place. The trek leads you through farm fields, rocky dusty and steep trek routes. You also get to see amazing meadows with nature’s beauty at its peak. Once you reach the top, you get a picturesque Himalayan view. Don’t forget to capture the scenic beauty of nature which is at its best here. Varied flowers, mushrooms and soft grass can be seen all over the valley. So roll on the soft carpeted grasslands like a small baby. Enjoy overnight stay in atent under the open sky amidst vibrant and majestic landscapes. Early morning post breakfast and with fresh legs, start Panar to Rudranath trek. Towards the day end, we are going to return back to Panar for night stay. The total distance that we are going to cover today is 16 km., i.e. 8 km. trek each side. Rudranath is situated at an altitude of 2286 m. from the sea level. Enjoy the atmosphere as you move ahead through the scenic routes. Rudranath is among the five shrines, and here the face of Lord Shiva had appeared in the natural rocks. From the temple, you get abreath-taking panoramic view of the Himalayas, Nanda devi, Nanda Ghunti, Trishul and much more. To reach the top, you have to trek through thick dense forests, gorges and high alpine meadows. There are few ponds near the temple like Surya kund, Tara kund, Chandra kund and Manaskund which can also be covered by the trekkers. The entire view along the trek is quite mesmerising and soothing. Head back to Panar for your night stay. After a good sleep and breakfast, make your advancement towards Sagar village which is your first destination for the day. You have to trek the distance between Panar and Sagar village which is approximately 14 km. Later drive 32 km. towards Chopta. The trek route from Panar to Sagar village goes through dense forests and high altitude meadows. Make sure you click good snaps around this extremely peaceful place. Later drive 32 km. towards Chopta (2900 m.). Chopta is also known as Switzerland of Garhwal region. It is considered as the most attractive place in the region. This place takes away the agony of an exhausting walk and brings forth a beautiful fairy world in front of you. Enjoy the majestic view of snow clad Himalayas, lush green meadows, dense forests and other surrounding areas. Here you can find the rare view of musk deer, pheasant and lot of other wildlife. The place offers arich variety of flora and fauna. During the trek, you come across a lot of Rhododendron and Deodar trees. After the hectic day, take rest and overnight stay in the guest house at Chopta. Start early in the morning with a wholesome breakfast and some morning exercises. Today we move ahead to Tungnath, which is another shrine of Lord Shiva. Tungnath is located at an altitude of 3680 m. above the sea level and it is the highest shrine of Lord Shiva in the entire world. At this place, Lord Shiva’s arms were identified and are worshiped. Shiva’s vehicle, Nandi bull is also placed here, facing the gate of the temple. Small temples are also dedicated to Goddess Parvati and Lord Vyas. Chopta to Tungnath trek is approximately 3.5 km., which is easy to hike and takes around 4 hours to reach. You can hike through a well-made concrete path which goes by lush green alpine meadows, dense forests and surrounded by snow-capped Himalayan ranges. Moving 1.5 km. ahead, you reach Chandrashila, which is located at an altitude of 4000 m. above the sea level. During winters, the entire place is covered with white snow sheets. The journey to Chandrashila allows you to get enchanted by the majestic view of Himalayas. Late evening drive back to Ukhimath/Guptkashi and night stay is arranged in the guest house at Ukhimath/Guptkashi. The morning starts with early breakfast and then you proceed for the drive from Ukhimath to Kalimath. The total distance is about 20 km. After reaching Kalimath the trek from Ukhimath to Ransi begins. The total trek distance is about 7 km. Ransi is located in RudraPrayag district of Uttarakhand, at the height of 1765 m. above the sea level. The route is covered with dirt and rocky pebbles. After reaching Ransi, take dinner and proceed for anovernight stay at the camp. The day starts with morning breakfast and then you head over for trek from Ransi to Gaundhar. The trek distance is about 7 km. Gaundhar is situated at the height of 3073 m. above the sea level. Gaundhar is a small village which acts as a base camp for trekkers heading towards Madhyamaheshwar. Devotees travelling to Madhyamaheswar temple opt to take a halt at Gaundhar, so this route is often crowded with pilgrims. On this trek you come across a bridge, from where you can witness the confluence of Madhyamaheshwar Ganga River and the holy Markanga Ganga River which gives enchanting views to the trekkers. This is one of the lowest points of our trek. This place offers scenic views which cannot be expressed in literature. After reaching Gaundhar, take the dinner and proceed for an overnight stay in camp at Gaundhar. After early morning breakfast, you proceed to trek from Gaundhar to Madhyamasheswar. The trek distance is 10 km. which takes around 5 to 6 hours. Madhyamaheshwar is located at the height of 3490 m. above the sea level. The trek route is steep and goes through dense forests. It is one of the well graded paths, which offers changing views of grassy slopes, lush green meadows and emerald streams. Madhyamaheswar is the fourth shrine of Lord Shiva. Many devotees and worshipers believe that navel mid part of the body of Lord Shiva reappeared at this shrine after it disappeared at Kedarnath. The temple is built in typical north Indian style. The temple has status of Har-Gouri, Parvati and Ardhanarishwara. Enjoy the holy sounds of the temple bell which makes everyone’s soul sacred. Set up the camp after reaching here. The campsite offers an incredible view of prominent peaks like Kedarnath, Chaukhamba and Neelkanth . Have the dinner and overnight stay at the camp in Madhyamaheshwar. After an overnight stay at Madhyamaheshwar, take early morning breakfast. Pay homage to the ancient deity and later trek along the same route of the previous day towards Gaudhar. Enjoy the mesmerising atmosphere and scenic beauty of this place. Click some pictures of this beautiful Garhwal Himalayan region trek and make your trekking experience last forever. Have dinner and overnight stay in the camp at Gaundhar. After having early morning breakfast, you start the trek from Gaundhar to Ransi. The distance between them is approximately 6 km. Local villagers, water streams, mountains andcattles can be seen throughout the route. The entire trekking route is beautiful and full of positive energy. After reaching Ransi, take the dinner. Overnight stay is at the camp in Ransi. The day begins with early morning breakfast and few stretching exercises before you start trekking from Ransi to Kalimath. The total trek distance is around 13 km. The trekking route mostly passes through dense forests. On the route, many sights having the evidence of landslides can be seen. Water streams with cold water can be found flowing along the trek path. Kalimath is situated on the banks of Kali Ganga River. On reaching Kalimath, visit the Kali Temple. Many devotees visit the temple every year. During Navratris the rush is at its peak. Later take a drive from Kalimath to Gaurikund via Guptkashi. The total drive is 39 km. long. Take a halt in Gupthkashi (1319 m.) and visit some ancient temples. Head back to Gaurikund for dinner. According to many local traditions, it is claimed that Guari, also known as Parvati performed many ascetic and yogic practices to win Shiva’s love. Overnight stay is at a hotel in Gaurikund (1981 m.). Do you know? : The interesting thing about the Kali temple is that there is no idol that is worshiped here;instead, Sri Yantra is the object of devotion for the pilgrims. The morning starts with breakfast and then you head for the trek from Gaurikund to Kedarnath. The trek route is 16 km. long. Kedarnath is situated at the height of 3584 m. above the sea level and is one of the Jyotirlingas of Lord Shiva out of the total twelve. 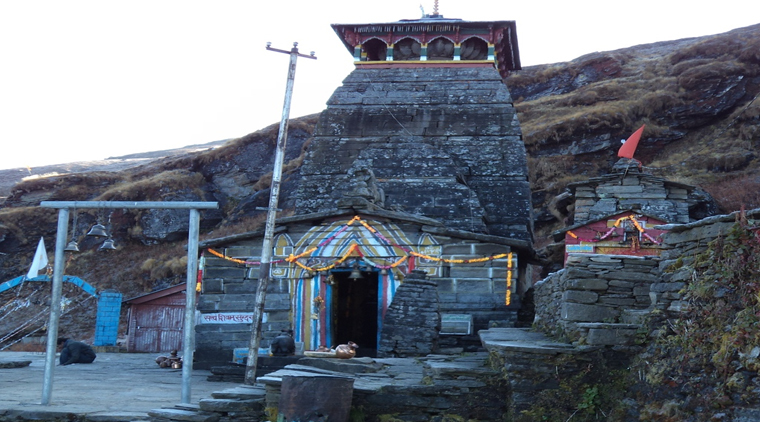 Kedarnath temple is believed to be very ancient temple and at this place the hump of Lord Shiva had appeared. 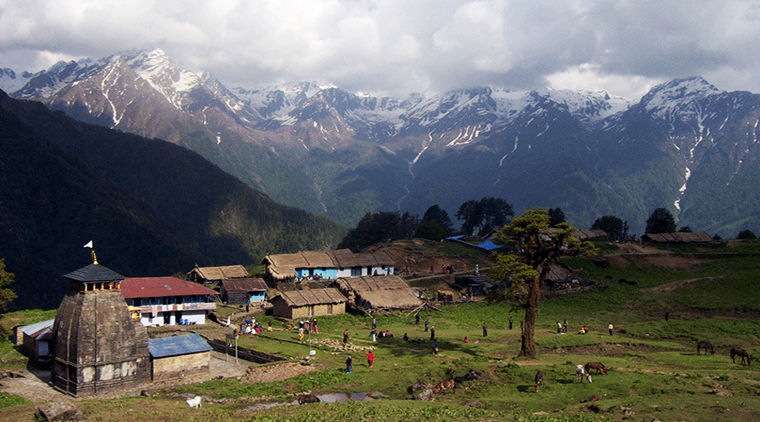 The trek route offers an incredible view of the surroundings. River flowing through the valley can be seen on the right side. The entire trek distance is composed of awalk with no steep climbing. On arrival at Kedarnath, take the dinner. Overnight stay is at the camp in Kedarnath. The day starts with early morning breakfast and later visit the Kedarnath temple. Seek the blessings of Kedarnath ji and participate in the morning pooja. 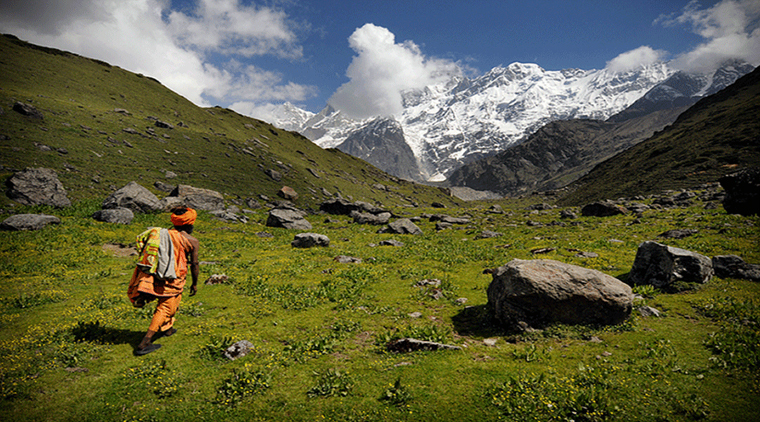 After completing the religious rituals you trek from Kedarnath to Gaurikund. The trek distance is 19 km. and the route is same as that of the previous day. On reaching Gaurikund, take the lunch and drive towards Guptkashi. The distance between the two is 30 km. which takes around 2.5 hours. After reaching Guptkashi, take dinner and proceed for an overnight stay at Guptkashi. After taking early breakfast, you head towards onward journey. The distance of Guptkashi to prominent places are Haridwar – 207 km., Rishikesh – 184 km., Dehradun – 224 km. You can pre-select the onward destination before the trek according to your suitability.